The Minister of Finance, Mrs. Kemi Adeosun, resigned yesterday, saying in line with the Buhari administration’s stance on integrity, it was honourable for her to resign over allegations on her NYSC exemption certificate. One of her major initiatives is the Efficiency Unit (E-Unit) established in November 25, 2015 to ensure that all government expenditures are necessary and represent the best possible value for money. Prior to her assumption of office, available records showed that the nation’s recurrent expenditure completely dwarfed capital expenditure by a ratio of 84/16. This included non-wage related overhead expenditure such as travel costs, entertainment, events, printing, IT consumables, and stationeries, among others. Since its creation, the unit has been monitoring the MDAs, identifying and eliminating wasteful spending, duplication and other inefficiencies and identifying best practices in procurement and financial management. The federal government currently saves at least N15 billion annually from the services of the unit, according to the ministry. Adeosun was said to be instrumental to the establishment of the Presidential Initiative on Continuous Audit (PICA), a critical initiative in the implementation of a Continuous Audit Programme. The Federal Executive Council (FEC) had on March 9, 2016, approved the establishment of PICA to ensure full accountability of all public funds expended under the Buhari administration. Development of Whistle Blower Policy: The Whistleblowing policy, which was developed by the Federal Ministry of Finance in December 2016, empowers citizens to report public corruption. The primary goal of the policy is to support the fight against financial crimes and corruption by increasing exposure of financial crimes and rewarding whistle blowers. According to Adeosun, over 2,500 reports have been made through various reporting channels as at July 2017, with 365 being actionable tips. She disclosed that the sum of N375.8 million had been paid as reward for 20 whistleblowers in the first batch payment. 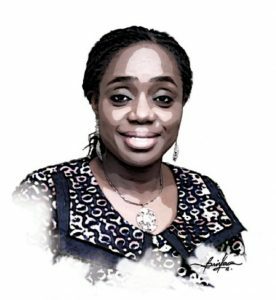 The Voluntary Assets and Income Declaration Scheme (VAIDS), an initiative of the Kemi Adeosun in collaboration with the State Tax Authorities, is a revolutionary programme that provides tax defaulters a nine-month opportunity to voluntarily and truthfully declare previously untaxed assets and incomes. As at May 2017, the total number of taxpayers in Nigeria was just 14 million out of an estimated 70 million who are economically active. VAIDS has however yielded over $50 million in revenue between June 29, 2017 when it was launched and October 31, 2017. Two foreign companies have also agreed to pay $110 million in regularizing their tax status. The TSA is another initiative towards efficient and transparent management of federal government finance and revenue collections that have been implemented in the past years, through the Federal Ministry of Finance under Adeosun. The government can monitor and manage revenue from revenue collecting and revenue generating agencies of government, through a window. It has so far mopped up over N3 trillion as revenue accruals since the policy of Treasury Single Account commenced. Adeosun had said the Federal Government released over N1.580 trillion for capital projects to all its Ministries, Departments and Agencies (MDAs). She said government released N1.58 trillion capital cost to the MDAs for the 2017 budget, considerably higher than the pre-PMB years.